A family firm has created a Glitter Angel to raise funds for a leading Scottish children’s charity. Bridge of Allan-based giftware company Angels’ Share Glass made the bespoke angel for NSPCC Scotland to promote their Christmas Star appeal. The Angel’s design features a star, is filled with glitter and comes with an oak stave stand which has a Highland tartan insert. Angels’ Share Glass Managing Director Karen Somerville came up with the design after the charity asked the firm to create a special angel for them. “When the NSPCC approached us for help promoting their Christmas Star appeal we were delighted as we are always keen to collaborate with worthwhile causes and charities. Funding raised from the Glitter Angels will support the work they carry out in communities across Scotland including Childline, the Speak Out Stay Safe schools programme and advice and support work with families. 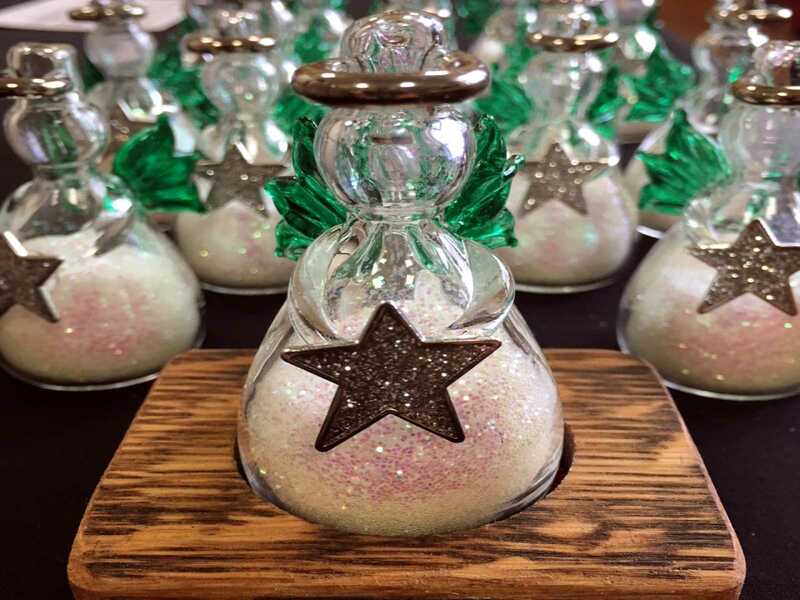 Angels’ Share Glass will donate half the cost of the £35 Glitter Angel to NSPCC Scotland and customers will receive a receipt for their donation. Published by Blackburn Communications on September 18, 2018. As featured in Scottish Field, Third Force News, Stirling News and Family Business United.